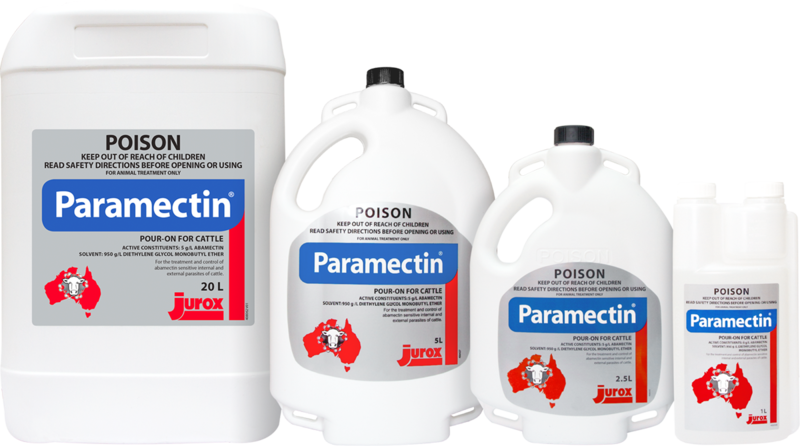 A broad spectrum anthelmintic for the treatment and control of internal and external parasites of cattle. Abamectin is a member of the avermectin family of compounds. It provides a broad spectrum of efficacy against sensitive strains of the following adult and immature internal and external parasites of cattle. Dictyocaulus viviparus - large lungworm; controls infection acquired up to 28 days after treatment. Controls buffalo fly (Haematobia irritans exigua) and protects cattle from re-infestation for up to 14 days after treatment. Dose the mob according to the heaviest animal by liveweight in the group (bulls, cows, steers, calves etc.) Do not underdose. A representative sample of animals should be weighed before treatment either with scales or a weighband.